Under the theme "Leading New ICT, The Road to Collaborative Public Safety", Huawei Global Safe City Summit 2017 will be held in Dubai, UAE from April 26-27. 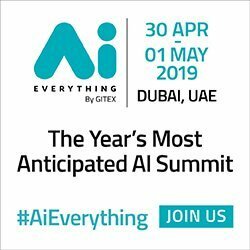 The event will bring together leading enterprises, industry experts, and partners from across the world to explore the trends and challenges of digital transformation within the public safety industry, as well as share innovative technology application practices. At the summit, Huawei will also launch the world’s first collaborative public safety solution. By leveraging new ICT technologies, such as cloud computing, Internet of Things (IoT), Big Data, mobile broadband, and Software-Defined Networking (SDN), the new solution will enable efficient collaboration between government agencies and between the police and the public to transform public safety and strengthen communities. In the digital era, new security threats are emerging that affect the public safety industry. To address these new threats Huawei believes the industry needs to shift from constructing traditional public safety models to building collaborative public safety models. These models are designed to keep pace with social and technological developments and establish a collaborative public safety system that protects the public through seamless interaction between authorities and citizens. In addition, Huawei will release the first video cloud solution featuring an all-cloud architecture and matrix intelligence, as well as a crisis and disaster management solution. 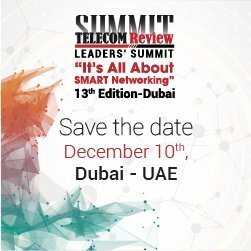 During the summit Huawei, together with partners, will demonstrate its latest Safe City solutions and practices, such as video cloud, convergent eLTE broadband trunking, deep-learning smart video analysis, law enforcement Big Data, and next-generation converged command system. Huawei Safe City solutions adhere to the principles of openness, collaboration, and mutual benefit. Huawei is committed to working closely with global leading partners in consulting and planning, system integration, and software application to build a mature Safe City ecosystem and provide one-stop Safe City solutions for customers. Currently, Huawei Safe City solutions are serving around 800 million people in more than 200 cities in over 80 countries such as Kenya, Indonesia, and China.